The Madhya Pradesh Board of Secondary Education (MPBSE) will declare the MP Board Class 12 result 2019 by the second week of May. Students eagerly awaiting their MP Board Class 12 result 2019 will be able to check the outcome of their year-long hard work. MPBSE will make the MP Board Class 12 result available in the official website after the official announcement. The publishing of the MP Board Class 12 result 2019 online will make it more convenient for the students to check the result. A direct link to official web pages of MPBSE for checking the MP Board Class 12 result 2019 will also be made available on this page. Students appearing for their MP Board 12th exams should bookmark this page of our website for authentic and verified information about the MP Board Class 12 Result 2019. Information related to result declaration date and other aspects will be continuously updated by our team at JagranJosh. Additionally, all related information about notifications, news and updates of AP MP Board Class 12 result 2019 will also be provided on this page. 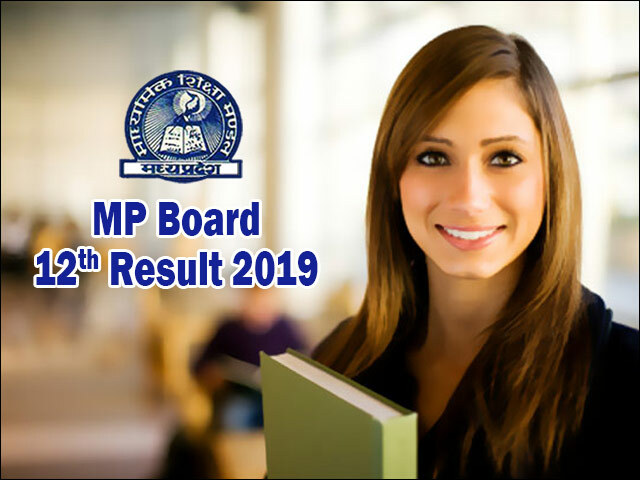 The Madhya Pradesh Board of Secondary Education (MPBSE) has not disclosed any detail about the MP Board 12th Result 2019. Taking cue from the previous trends, the education experts predict that the result of MP Board Class 12 is likely to be announced around by the second week of May. It is also expected that the MP Board will be declaring the MP Board Class 12 results on time, as any delay in result might cause the students to miss out on opportunities to apply for higher education programs. Our team of experts at JagranJosh is keeping a detail on the latest progress and intimations released by the MP Secondary Education Board. Students can keep themselves updated about all the latest developments through our web-portal i.e. jagranjosh.com/results. For regular updates on real time basis, you can also register for email alerts about MP Board Class 12 Result 2019 by providing details your mobile number and email id in the form available on the top of this page. Where to Check MP Board 12th Result 2019? After the formal declaration of the results, the scorecards will be available on the official website of the board i.e. mpresults.nic.in. It is often seen that the official website of the board shows technical errors on the result day due to the numerous users visiting the site at the same time. If such situation arises this year, we request the students to visit mp12.jagranjosh.com to make the process hassle-free. Students waiting to check their MP Board Class 12th result 2019 should also keep all their required details handy for fast and easy access to the results. We here at JagranJosh understand the amount of pressure and anxiety the candidates undergo during result times, and thus, we strive to make the process of checking the MP Board Class 12 result very simple on the part of the students. Results always bring about anxiety and excitement to the students. One of the biggest concerns of the students is whether they will achieve the expected marks or not. Many students often set a wrong expectation and get disappointed later on. In order to ease the pressure from the students and to help them to set realistic expectations, we have provided some key insights from last year’s MP Board 12th Result below. We hope these numbers will be useful for the candidates. The Madhya Pradesh Board had conducted the Class 12 examinations from March 1, 2018 to April 3, 2018. According to reports, over 7 lakh students had appeared for the MP Board Class 12 examinations last year. Upon submitting all the requisite details and clicking on the ‘Submit’ button, the MP Board 12th Result 2019 will be displayed on the screen. After checking the MP Board Class 12 result, the students can also download a digital copy in a PDF format or take a printout of their MPBSE Result 2019 for future reference. Students are often required to throng through a host of websites to get authentic information when it comes to updates related to MP Board Class 12 result. To provide a solution to this problem, JagranJosh provides the students with the facility to obtain email alerts of the various updates. Students can avail this facility by registering with us. To register, fill in the information in the form provided at the top of this page and lay back as we bring regular updates on all the information released by MPBSE regarding MP Board Class 12 result 2019. What after Checking MP 12th Board Result 2019? Students, after checking their MP Board Class 12 result 2019, should download their scorecard and keep few hard copies of the same for future references. The MPBSE result printout is accepted as a provisional result in the admission process by many colleges until the students furnish the original copies for verification. However, students must collect the original mark sheets issued by the MP Board from their respective schools, as they would be required to complete the admission formalities for higher studies. Students not satisfied with the marks obtained in the MP Class 12 Board exam can apply for re-checking or re-evaluation of their answer scripts. This option can be availed by the students by paying the requisite application fee and submitting an application through the respective schools. Any difference in the marks will be updated in the final mark tally. Students who do not manage to pass in the MP Board Class 12 exams will be able to apply for the MP Class 12 Board Supplementary exam. This exam will provide the students to improve their scores in single/multiple subject(s). The application form for MP Board Class 12 Supplementary exam will be made available on the official website of MPBSE. Students will be required to fill in the form and pay the fee in order to appear in the MP Board Class 12 Supplementary exam 2019. The Madhya Pradesh Board which conducts the Class 10 and Class 12 examinations in the state was established under the Madhya Pradesh Secondary Education Act, 1965. The Board was formed to regulate and conduct the affairs of the secondary education in the state. The MP Board of Secondary Education (MPBSE) serves as an exam conducting body and it regulates the education policies in the affiliated schools. The MPBSE conducts annual board exams to evaluate the academic performance of students at the HSC and the HSSC levels. The first MP Board examinations were held in the year 1959-60, in which approximately 80,000 students participated. Since then, the MP Board has managed to raise the number of participants significantly to approximately 10 lakh in past few years. Each year lakhs of students participate in the MP Board 12 Examinations and MP Board 10 Examinations conducted by the MPBSEs. The long wait for MP Board 12th Time Table 2017 just ended. MPBSE has officially declared the MP Board class 12th exam schedule. Get the full MPBSE 12th exam time table here. As per the latest inputs, the MP Board 12th Result 2016 will be announced on 12th may at 4PM. Earlier, news reports had suggested that MPBSE would announce the MP 12th Result today i.e., May 10.